Martin and Duncan are outraged to find that their local pub has been turned into a ‘pub-themed-cafe’ by the new owner. They immediately assume that he is French and devise a series of increasingly ludicrous and unsuccessful schemes to ruin his life. Hughie Shepherd-Cross as Joella, Rainman, Dermot O Leary, and a few other guys. Tickets to be released shortly. 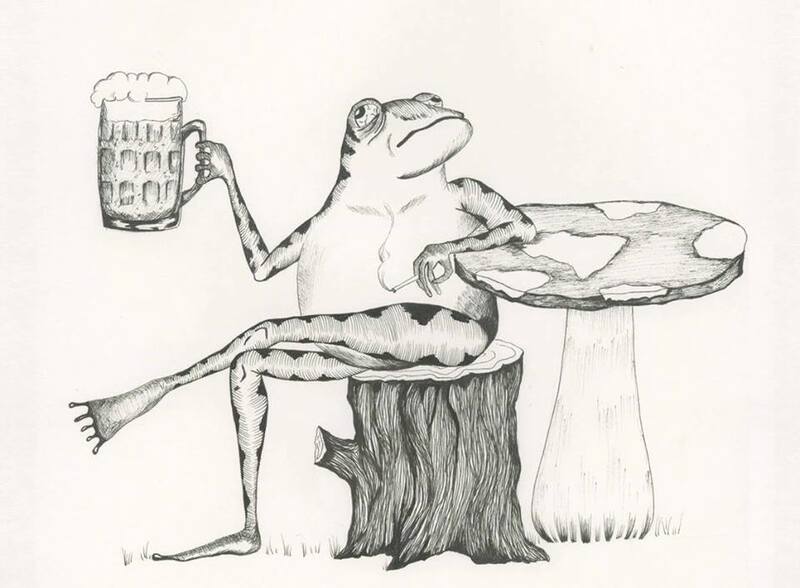 Drawing of Frog by Phoebe Manley.